Our national parks are beautiful and unique places, often serving as an introduction to the outdoors and inspiring an appreciation for nature and wilderness. Similarly, stories and storytelling can serve as an introduction to other places and foster a powerful emotional connection to nature. 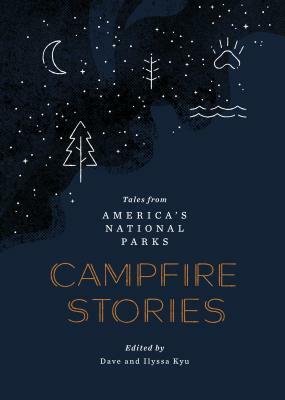 Campfire Stories brings together tales about our national parks; some are by well-known writers such as John Muir, Bill Bryson, and Terry Tempest Williams, while others are from pioneer diaries or have been passed down through generations of indigenous peoples. Each story includes an "About this Story" reflection, offering insight into how Dave and Ilyssa discovered the tale, why they selected it, and some background about its writer. Dave and Ilyssa also share their own thoughts on each of the parks they visited, as well as tips on how to be a compelling storyteller.